There are a number of different ways that companies have been able to use the popular iPad tablet. From photographers using it to show off their work at a moment's notice to sales people entering numbers while on the road, many organizations are finding the benefits too good to pass up. 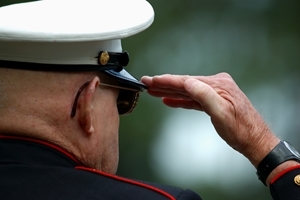 This week, the U.S. Veterans Administration (VA) announced that they have started a one-year pilot project to loan roughly 1,120 iPads to the home-based caregivers of severely injured war veterans in an effort to improve the flow of information between patients and the VA offices. The iPads will replace the use of detailed reports that are now done by in-house health professionals via the telephone, secure website or in handwritten notes turned in to doctors following a visit. Dr. Neil Evans, an associate chief of staff for informatics at the VA Medical Center in Washington, D.C., spoke with CITEworld about this project. According to him, the tablets will come loaded with none but specially built applications that will be used to report information to the agency. This includes an overall health assessment, pain reports and prescription refills, among other things. "These are people who have high healthcare needs and who can't get treatment in traditional ways," Evans told CITEworld. "So how do we help them? By creating technologies that give a better sense of connection with their healthcare teams." He went on to say that this system would cut down on inefficiencies and potential errors that are associated with transmitting information through a second party, like through a phone call or by having a second person transcribe a written note. These kinds of iPad deployments can be done by any company if they partner with an IT consultant who is familiar with these kinds of systems.